Saturday night we took some time off from being parents and headed down to Fifth Third field for the annual Brewfest. Thank goodness for decent weather! We've had such bitter temperatures so we were thankful for the 40 degree weather. 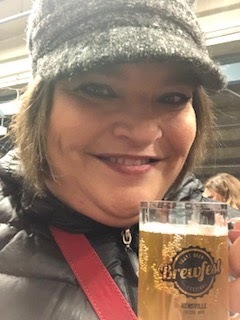 Brewfest is definitely more of John's taste but we had fun. Next year I will probably do the designated driver ticket. We met John's friend from work and his girlfriend.